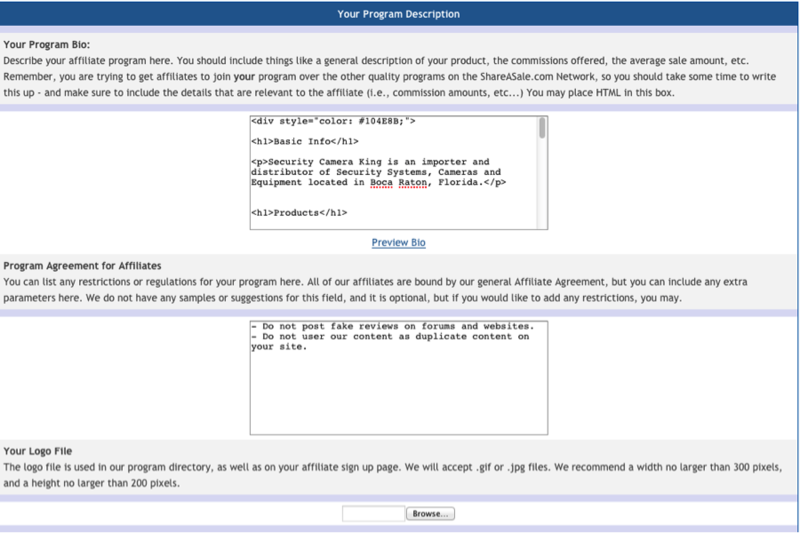 Setting up an affiliate program can often seem daunting. 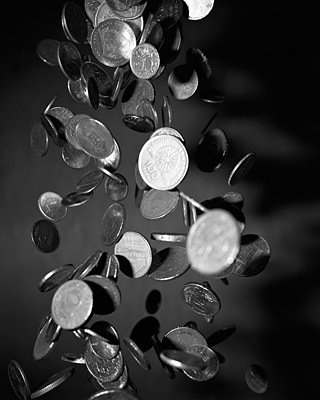 However, if it is set up the right way, it can be an extremely effective way to boost your profit. From selecting the service to pick to maintaining your account, you’ll find all you need in this detailed article. Making sure you have time to maintain and review your account. Approving and searching for affiliates is a task that takes time and strategy. It’s best if you delegate this task to your current Marketing Company or department. Making sure you are able to commit to your commission goals. 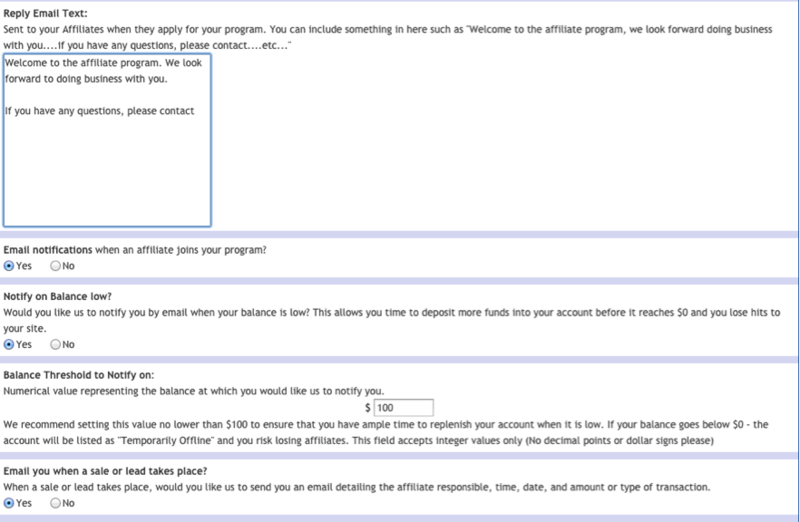 It’s important to be as transparent as possible when setting up an affiliate program. Make a detailed assessment of your company’s unit profit model before dedicating resources to it. Making sure you do detailed research of the affiliate service you would like to use. In this particular article, I will show you how to set-up and maintain a Merchant account on ShareASale. 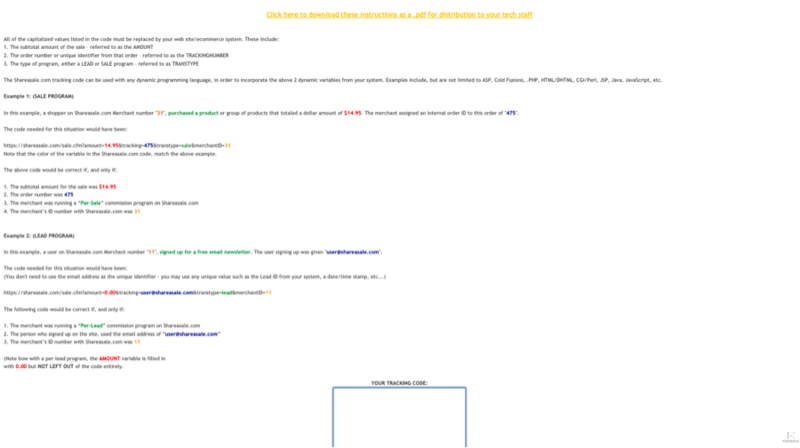 Based in Chicago, this affiliate Marketing network was founded in 2000. Their main goal is to pay commissions to affiliates based on sales. When you sign up for their affiliate marketing services, you’ll have the chance to choose from more than 2,500 programs that allow you to gain commissions. Furthermore, ShareASale also allows you to manage a network of merchants. Our goal today is to set-up a merchant account in order to attract the right affiliates. In order to request activation for your account, you must complete each step in order. 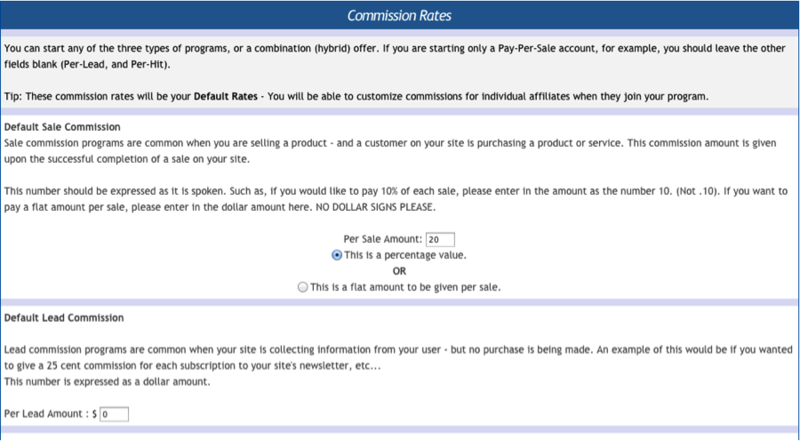 In this section, you’ll have to set your commission rates. Once again, I would recommend conducting a detailed analysis of your unit profit model before settling on a percentage. The higher the commission, the more prospects you’ll get – especially if your average sale price is high. Be willing to raise your commission. Always leave room to negotiate. Setup a two tier commission program only if it’s in your plans from the start. Use the HTML feature to your advantage by designing a compelling landing page. My suggestion would be to stick with your website’s overall theme (color and font). If you’re a bit rusty on using HTML, use CodeAcademy to learn the basics and successfully style your page. 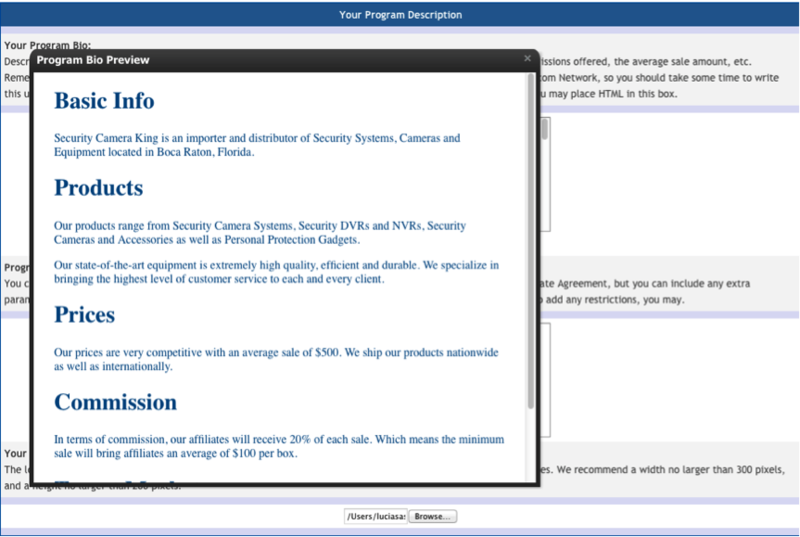 When it comes to setting up “Program Agreements for Affiliates,” don’t forget to list any restrictions and regulations you would like to emphasize. 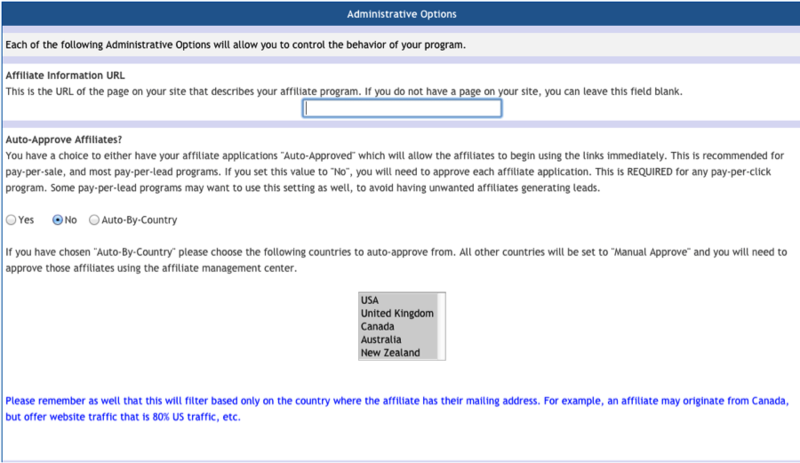 Before you fill out this section, don’t forget to create a separate landing page on your website where prospective affiliates can sign up for your program. Include the information you wrote on the bio section along with a call-to-action. Promote the page on your homepage with a footer/header link or with banners. After you’ve completed the page, insert the URL in the Affiliate Information URL section. 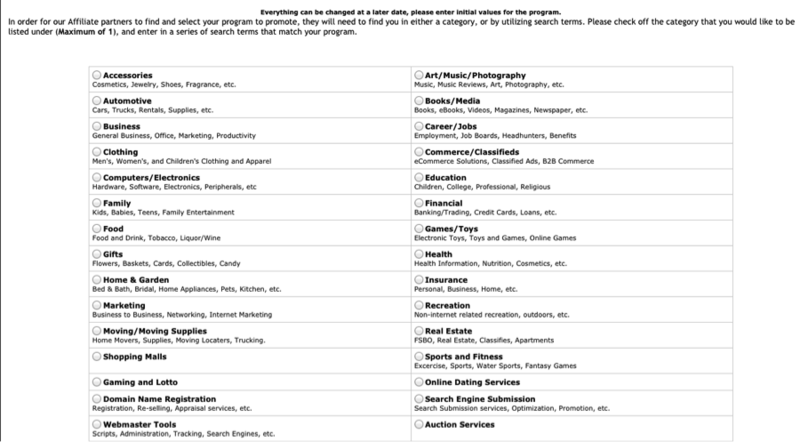 Before you complete this task, don’t forget to select an answer for the auto-approve affiliates section. My recommendation is to always choose “no” because you must consider several characteristics before approving affiliates (I will explain more on this in the sections to come). In the section titled “Reply Email Text,” make sure you include a welcome message letting them know that you’ll be reviewing their application. In this section, you’ll also have to choose a platform that will prompt you to a tracking code. Once you have your tracking code, you’ll need to add it to the back end of your “thank you” or “confirmation” page. Instructions on how to do so will be included in a PDF file. In order to test the system and make sure your tracking code is working properly, you’ll need to simulate an order on your website through the ShareASale screen. Be sure to follow directions provided. After you’ve successfully tested the system, ShareASale will ask you to deposit funds. You’ll be able to see a breakdown of your payment as well as the total amount before entering your credit card information. In this section, you’ll get the chance to upload banners you’ve created that affiliates will be posting on their website in order to promote your products. Make sure your banner comes in all sizes. I would suggest uploading at least 6 banners. Give your affiliates a variety of banner designs and text, but keep it consistent with your brand. Include a mix of images and text. Avoid long paragraphs and descriptions. Include call-to-actions such as: “Buy Now”, “Click Here For More” and “Learn More”. Once you finish uploading your banners, it’s time to request activation. Just click on the “Request Activation” button. A Launch Manager at ShareASale will contact you within 24 hours and launch your account. You did it! But this is only the beginning. Obtaining great affiliates is all about the time and maintenance you put into it after launch. If you have any questions on how to maintain or improve your account, post them below or contact us at Optimum7.